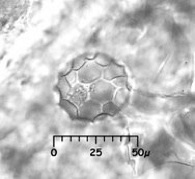 This website presents data collected by Dr. Deborah M. Pearsall and students at the University of Missouri's Paleoethnobotany Laboratory during the Phytoliths in the Flora of Ecuador (PFE) project. The lab operated as part of the Department of Anthropology's American Archaeology Division, which is directed by Dr. Michael J. O'Brien. The PFE project ran from 1997 to 2008, with periodic work through 2015. It was funded by two grants to Pearsall from the National Science Foundation Archaeometry program. 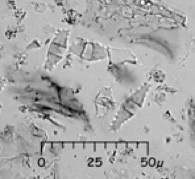 As described on the next screen (FLORA OF ECUADOR), the goal of the Phytoliths in the Flora of Ecuador project was to establish diagnostic phytolith types and phytolith vegetation signatures for the region to enhance archaeological and paleoenvironmental phytolith applications. 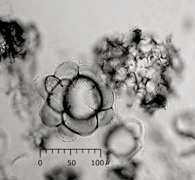 Pearsall, Deborah M. "Phytoliths in the Flora of Ecuador: The University of Missouri Online Phytolith Database." [http://phytolith.missouri.edu]. With contributions by Ann Biddle, Dr. Karol Chandler-Ezell, Dr. Shawn Collins, Dr. Neil Duncan, Bill Grimm, Dr. Thomas Hart, Dr. Amanda Logan, Meghann O'Brien, Sara Stewart, Cesar Veintimilla, and Dr. Zhijun Zhao. *After clicking on the database link an opening screen will appear. Select guest and click login (no password is required).